Dog Rescue Stories: What a Special Bond Between this Shelter Puppy & Teenage Girl! 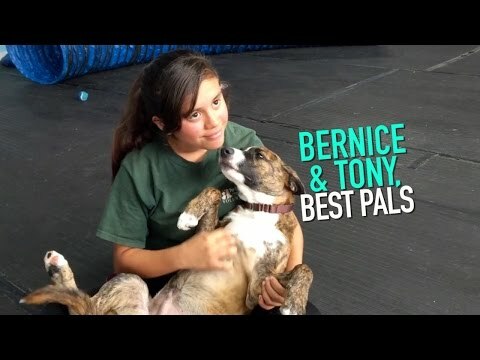 It’s volunteers like Bernice that make a BIG difference at Pet Shelters! Lack of training is the number one reason shelter dogs like Tony don’t get adopted. Bernice took it upon herself to train Tony, getting him ready for his forever home. Thanks, Bernice! Volunteer today at Pet Orphans of Southern California! Dog Rescue Stories: Ruby Rescued in Puerto Rico! Dog Rescue Stories: Eric’s Forever Family Was Given a Second Chance to Adopt Him! Dog Rescue Stories: Help Find Shelter Dog Casey a Forever Home! 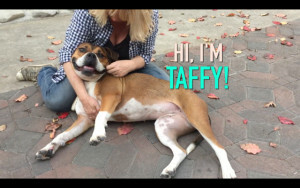 Dog Rescue Stories: Let’s Get Shelter Dog Taffy a Forever Home!